Announcement Birthday party invitations, baby shower invitations, baptism / dedication invitations, wedding invitations or announcements, save the dates, bridal shower invitations, party printables, Christmas cards, Holiday cards or whatever else you may need. You can print them yourself or have me print them for you (cards and invites only, not party printables). Don't see what you want? I love doing custom orders, convo me for details. NOTE: I also have a selection of my cards available for purchase on Zazzle. Please see my business hours in my profile. Turnaround time is currently 24-48 hours. Wedding sets and new custom card designs will take longer, typically a few days. Printed cards typically take 3-4 business days to arrive after proof approval. Birthday party invitations, baby shower invitations, baptism / dedication invitations, wedding invitations or announcements, save the dates, bridal shower invitations, party printables, Christmas cards, Holiday cards or whatever else you may need. You can print them yourself or have me print them for you (cards and invites only, not party printables). My people. The reason I do what I do. Love them! 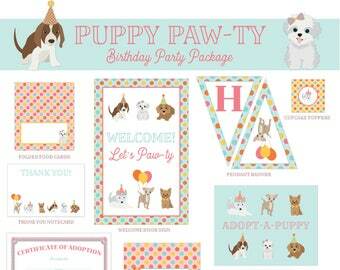 Hello, I'm Kim Nelson of Happy Day Paperie. Happy Day Paperie was born from a desire to stay home after having kids. After working as a graphic designer in the printing industry for around 5 years, I began my adventure into the stationery business before having my daughter. I love designing cards for all kinds of "happy days." Most of all, I love the opportunity it provides for me to be able to stay home with my daughter and son. What a blessing! Provides high quality professional printing services. I offer a credit toward another card design if we can't seem to get your design the way you were wanting it. Please double check the proofs that I send before you approve them. If a proof is approved with a spelling error or date error, I can change it at no extra charge. I do not, however, refund money for cards that you already printed. There is a $5 fee to change the size of the card after the proof has been started. Payment due before a proof is sent. I accept cancellations BEFORE I start working on your proof. If I send a proof and then you want to cancel, I can offer you a credit towards another card. Card stock printing is shipped overnight, typically with UPS. Photo paper is shipped 2-day, typically with UPS. Please have a sample card of your design printed before having ALL of them printed to check the spelling on your card and the colors. If the colors don't turn out the way you were hoping, I would be happy to adjust them and send you a new proof, but I can not refund money for the cards you already had printed. Colors vary based on your computer monitor and on your photo processor, so printing a sample is strongly encouraged. I often display customer cards on my facebook page or on etsy. I always change names, phone numbers and addresses. If you do not want to have your card displayed, please let me know at the time of purchase. I will always respond to e-mails and conversations and I do my best to have a proof to you within 24 hours. If you haven't received anything within 24-48 hours, please contact me to make sure it wasn't lost in cyberspace. Where/how should I print them? NOTE: Please check with your printer to find out the size that they print, INCLUDING the bleed, and let me know before I begin working on your proof. THERE IS A $5.00 FEE FOR RE-SIZING YOUR FILE AFTER A PROOF HAS BEEN STARTED. Can the colors or wording be changed on my card? The answer for the most part is "YES!" Colors can be customized to whatever you need. Wording can be customized as well, however if the wording is part of the "artwork" on the card, there may be a small additional fee. Will my file be text-editable or can you send a text-editable PDF or PSD? No, I create all of my files in Illustrator. I will customize your card for you and email a proof which you will then be able to request changes to if needed. 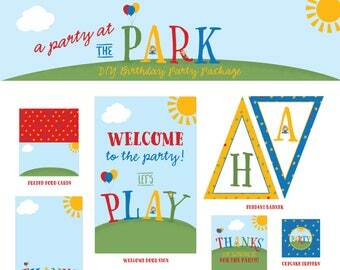 Do you offer matching party printables or thank you notes? Yes, I can create matching printables for any of my cards (cupcake toppers, water bottle labels, buffet table tent-style cards, banners, etc.). Some of my designs already have matching printables designed, if so, they would be in the Coordinating Party Items section of my shop, which is also where you will find the coordinating thank you card listing. Please contact me for pricing on these items. I typically have proofs to you within 24 hours of receiving your order. It may take a bit longer on the weekends or during busy seasons (Christmas). Custom orders typically take 2-3 days to receive a proof. What file format are the files sent in? All files are sent to you as a .jpg with one card image unless you specifically request a PDF with 2 card images on a letter-size page. Your payment covers my work time on your file. Therefore, once a proof has been started I cannot offer a refund, as you paid for the work that I already did even if you decide you no longer want the final file. What size photos should I send for my order?